The Crownline 180 is easy to launch and handle, yet it is large enough to accommodate open-water cruising and has the power needed to pull water skiers or wakeboards. Because new boaters often try a variety of activities, the 180's interior is configured for maximum versatility. It includes a ski locker, swim platform and towing eye for water-sports, a passenger captains seat and a sunpad for sun-bathing. The driver is cradled in an adjustable, swiveling bucket seat and faces an uncluttered dashboard with gauges organized according to their importance and the frequency with which they are used. 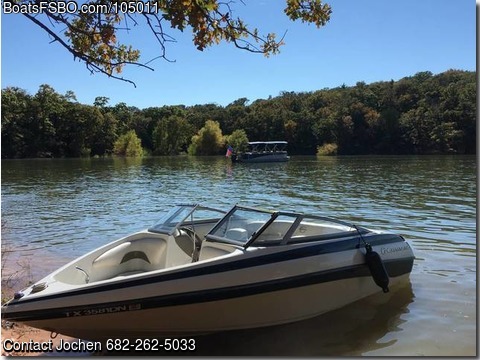 This 2009 model boat is in excellent condition and only has about 110 hours on the 3.0L Mercruiser engine. The boat is perfect to up to 8 people, we used it for wakeboarding, relaxing and with a tube. Boat was only used in fresh water lakes.